Calling all rappers, lyricists and wordsmiths get up in here this one’s for you!!! 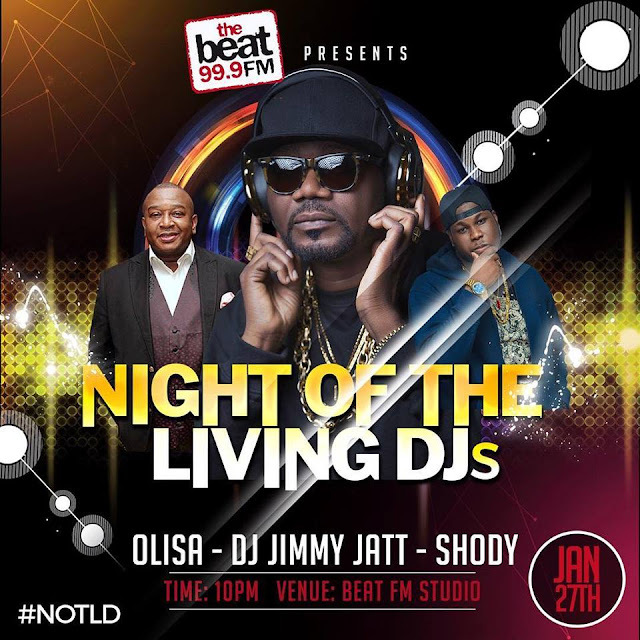 Think you can hold your own among the best in Night Of The Living DJs with The legendary Cool @djjimmyjatt @olisaadibua and @iamshody??? Record a one minute video of yourself spitting the best bars you’ve got. and you just might be contacted to join in the fun!